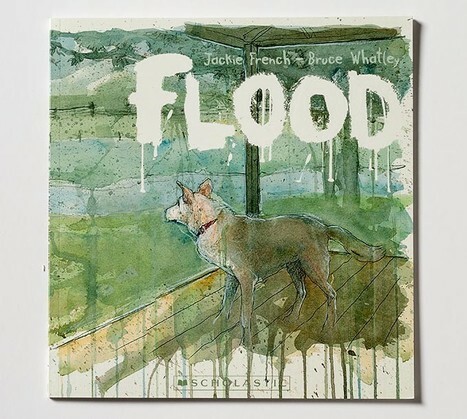 Flood by Jackie French and Bruce Whatley has certainly become a favourite of both teachers and students at Tenambit Public school. 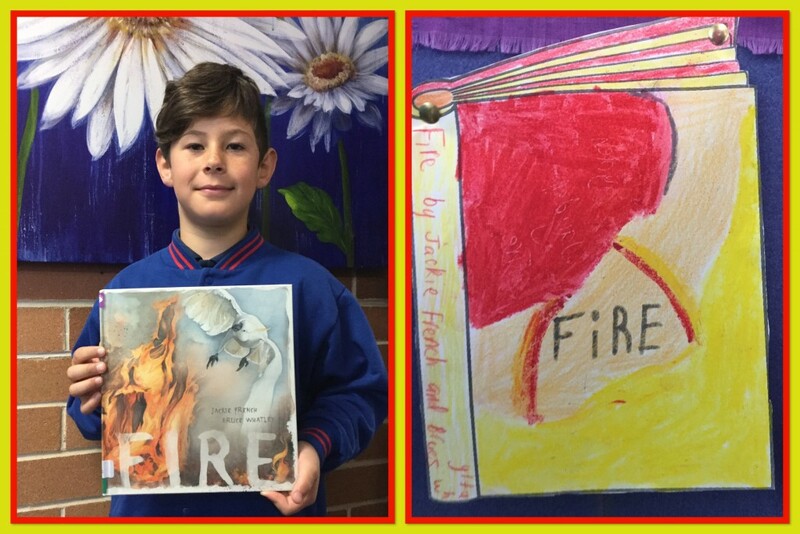 It has been the subject of many book reviews and most recently has been the inspiration for some beautiful artwork by 4G. Students were then asked to select their favourite painting and critique it. I have posted a number of the critiques and artworks by the very talented and creative students in 4G. 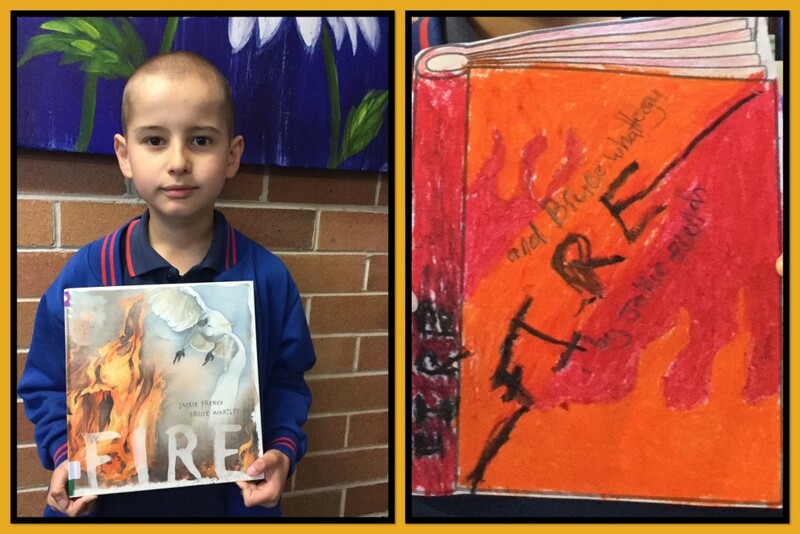 Fire by Jackie French and Bruce Whatley is about a bush fire that is ripping through an Australian bush. It is ruining everybody’s life, animal life, human life, and especially putting firemen’s lives at risk. I wish this phenomenon would stop! Fire is a really good book for the young and old! Some people will think that it is a bit boring but when they read it they will be surprised that it is a really good book! This is what happened to me. 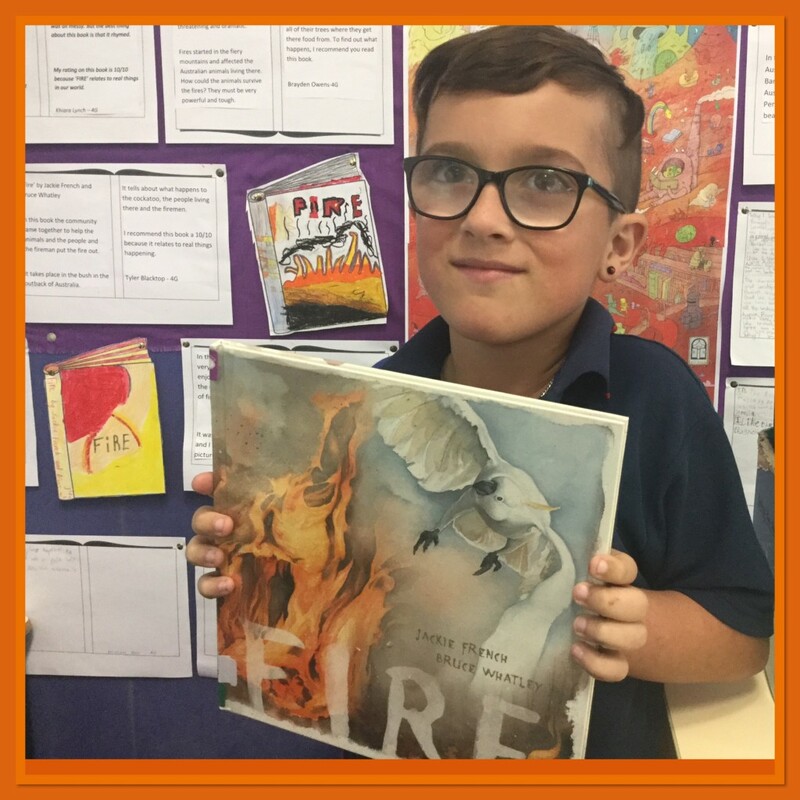 (Fire) is a really good book because during the fire the fire brigade comes out and helps the people fighting the fire. Everyone in the community comes and helps each other out. In the book (Fire) after the fire is put out, the SES people come and give food and water to the animals. After the fire, people stand outside their homes and cry at what has been lost. I recommend this book to the young and old because all the community members got together and helped each other out and we can learn from the book. THIS BOOK IS ON FIRE LITERALLY! Fire is really well illustrated by Bruce Whatley. I give it a 5 star rating. I also like all the fancy words used in this book, the words really match the pictures. Even though there were very few characters Fire was still really good. My opinion of this book is it’s GREAT, definitely read this book. I recommend this book to everyone! There is always one book you like and this is mine but just maybe it could also be yours. I promise you that there is at least one bit of this book you will like. All the books that Jackie French writes are all so good. I could just sit under a tree and READ, READ AND READ.